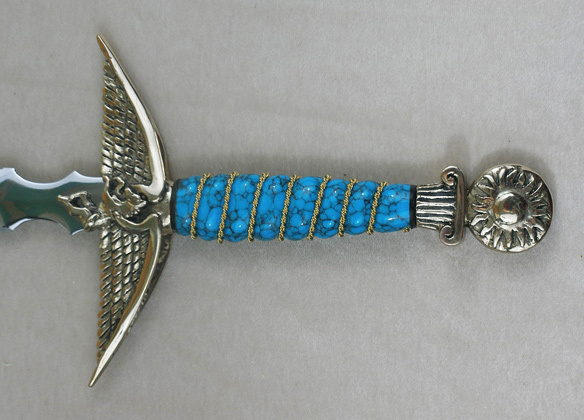 The winged Pegasus of myth with his wings spread wide forms the quillon for this dagger. The pommel has a disc of the sun mounted on a greek column. 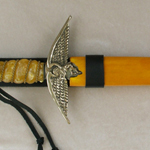 large hilt and fits best on a 9"-12" blade Each knife is hand-made to your specifications, with many options available.